Something a bit different for my Lusts of the Week this time, fellow beauty chicks. This week, I'm discussing three products that, yes, cost way more than my lunch and dinner for the week. But they're all so utterly fabulous that it's simply insane not to love them on sight. Whether these stay as lusts or become musts for all of you remains to be seen ... but I certainly can't live without them! T3 Bespoke Overnight Dryer: Gals, my tresses would simply not look anywhere near as good as they do without this handy dandy dryer on the road. This miniature dryer packs quite a punch with 1200 watts ... and it's equipped with two speed and heat settings for maximum drying power. Better yet, it's designed with a tourmaline ceramic heater to really make each and every strand shine and gleam. But my fave attribute? It dries my thick, unruly tresses in a mere five minutes! You heard me right. Five minutes. 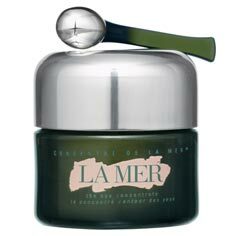 La Mer The Eye Concentrate ($165 at blissworld.com): Ahhh, my dream has now become a reality. I finally bit the bullet and bought this little tub of joy a few weeks ago ... and oh, what bliss it has brought into my life ever since. While the formula -- infused with three unique forms of the brand's Miracle Broth -- is utterly cooling and refreshing against the skin, what really intrigued me was the tiny silver applicator. It looks like a miniature spoon, and it works to really apply the product evenly and thoroughly. I've been using just a dab under each eye before bed, and I've gotta say -- no matter how tired I am the next day, my eyes sure don't show it! They've never been so light and lively. Yes, this is a huge splurge. But if you want brightly shining peepers, it's one worth investing in. 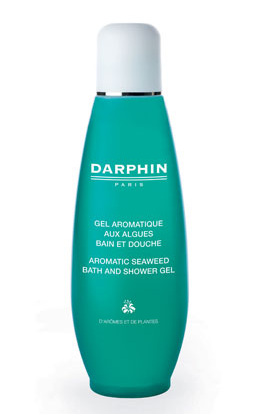 Darphin Aromatic Seaweed Bath and Shower Gel ($40 at neimanmarcus.com): Lemon. Orange. Vetiver. Algae extract? Who knew that this combination of ingredients could form a shower gel so amazingly wonderful? While $50 is way more than I usually spend on body washes, this one just called my name. And I was definitely not wrong -- its properties work to calm, heal and restore the soul each and every time I lather up. I don't know whether it's just wishful thinking, but I seriously walk out of the shower feeling less stressed and more energized. And its sweet, zesty smell is fabulous to boot!